The Church of Jesus Christ of Latter-day Saints holds general conference twice a year, in April and October. 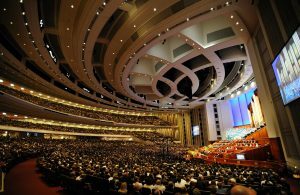 It is held in the Conference Center in Salt Lake City, near the Church’s headquarters, and is broadcast throughout the world via satellite, cable, radio, and the internet. During the conference, Church leaders address members about relevant topics that will help them in their lives and inspire them to continue to work, serve, and improve themselves. The broadcasts are open and available to anyone who wishes to view them. Latter-day Saints sustain the First Presidency and Twelve Apostles as “prophets, seers, and revelators.” We also believe that other general leaders such as those in the Quorums of the Seventy and the General Relief Society, Young Women, and Primary presidencies have been called of God to their positions—and that one way the Lord speaks to us is through our Church leaders. 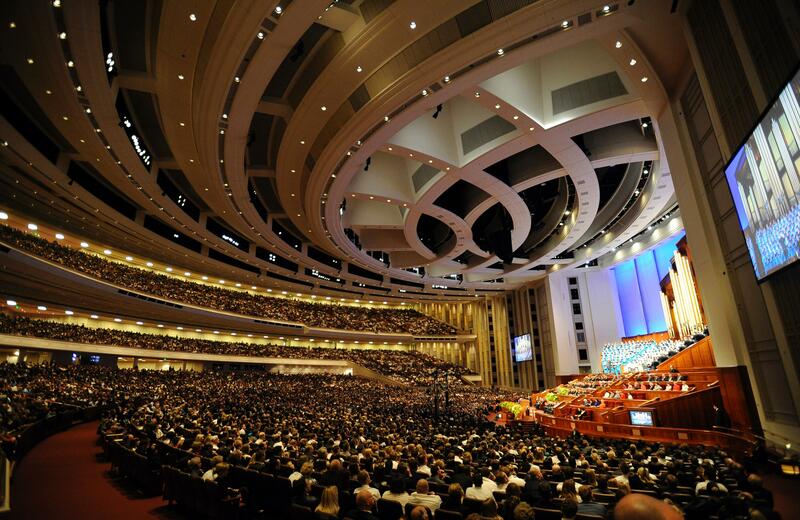 Many inspirational talks have been given at general conferences over the years. General conference archives are available online at www.lds.org and may be perused by anyone. Conference lasts for two days, a Saturday and a Sunday. It is usually held on the first Saturday and Sunday of the months of April and October. Two general sessions are held each day, one running from 10:00 a.m. till 12:00 p.m. MST both days, and another running from 2:00 p.m. till 4:00 p.m. MST both days. There is also a session for priesthood holders on that Saturday evening in April, and one for women on that Saturday in October. The practice of holding general conference began under Joseph Smith, the first prophet of the restored Church. At that time, the Church had only 26 members. Today there are over 16 million members worldwide. The Conference Center can hold over 20,000 people; however, because of high demand to view the proceedings there, tickets are needed for attendance. They are free and can be obtained through your local Church leadership. 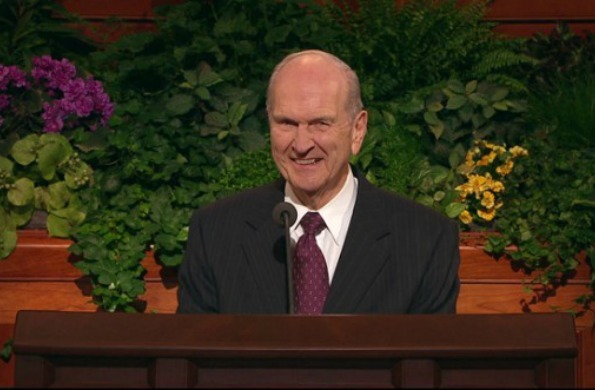 Many other Latter-day Saints view the proceedings live through television, radio, or Internet streams in their homes. Still others gather to their local church buildings to watch the sessions of conference via satellite. Those living in areas where this is not practical may watch the proceedings on a delayed basis. The talks are also available after conference online at www.lds.org, and are printed in the Ensign and the Liahona (official Church magazines) later on. This allows people to study the words of the Church leaders on an ongoing basis. This post was originally published on October 12, 2007. Updates have been made to reflect current Church leadership, guidelines, and policies.